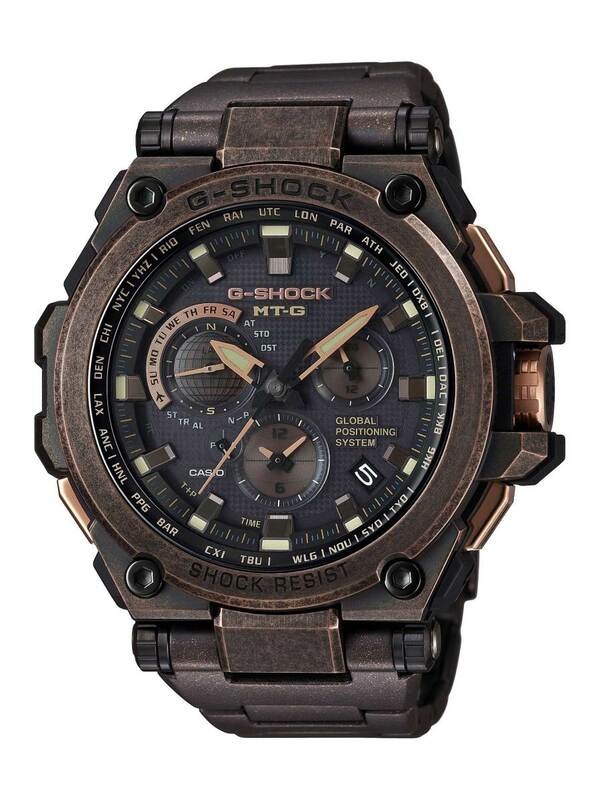 Looking like some sort of artifact discovered in a desert wasteland, G-Shock&apos;s MT-G is equal parts steampunk and Mad Max chic. 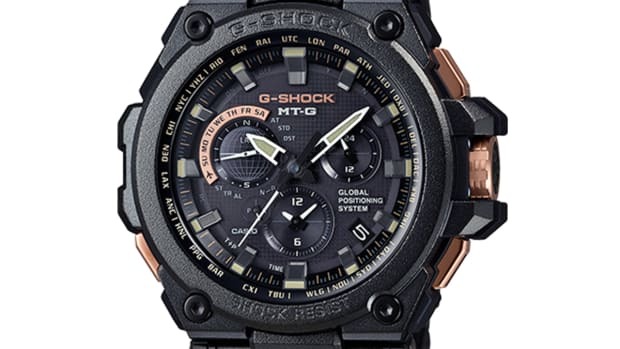 The case of the watch has an aged rose gold finish and premium details like sapphire crystal and a stainless steel and resin band. 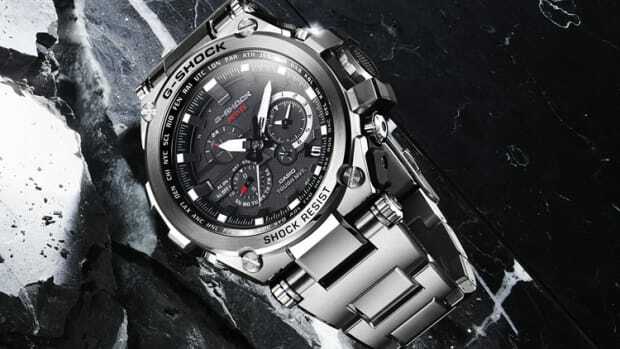 The watch is also chock full of G-Shock features such as airplane mode, world time, LED backlight, daily alarm, full auto calendar stopwatch, countdown timer, day/date display, tough solar, and GPS/Radio signal for automatic time setting throughout the globe. 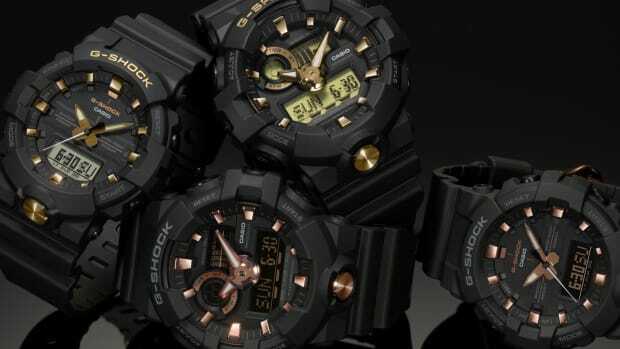 Look for the watch this August in G-Shock stores and retailers.